the share market for multiplying their wealth. Knowledge pertaining to Financial Markets. (a) Live Technical Analysis of share/commodit /currency. We conduct trading under our associates LKP Securities & Prabhudas Lilladher. Our trading is through the recognised exchanges – BSE, NSE, MCX, NCDEX. We conduct trading of Shares & Commodity and currency. Arrangement for purchase and redemption of mutual funds is also available. 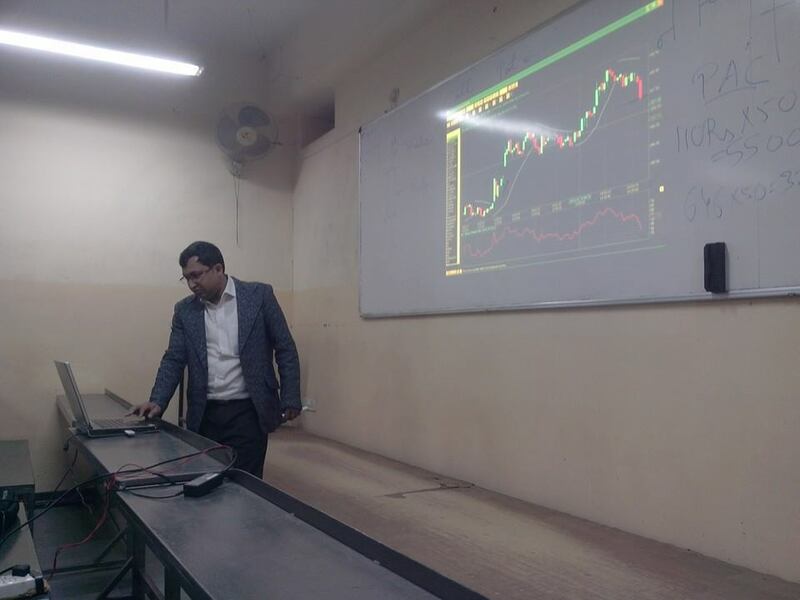 We arrange workshops in institutes to familiarize students / investors with Live Technical Analysis and discuss other intricacies of the market. We have got widespread appreciation for this. We believe that without planning you can’t make money here, According to us Our Concept is “First Learn then Earn”. We just started our services & want to share our Profitable Ideas to peoples. Our focus is to make the correct decisions and take action on right time to grab best possible opportunity in market. To provide 99% success ratio in the stock market by Technical tips and marketing traders to earn. To facilitate the small traders to enter the share market for multiplying their wealth. To provide best value for money to investors through innovative products, trading/investments strategies, state of the art technology and personalized service. Good platform for beginner, experience the new learning.. I advises before trading in stock market you should have a word with them. Good institute for technical analysis in share market..
Share Profit Advisory Services is a leading institution providing stock market training in Kota, Rajasthan.